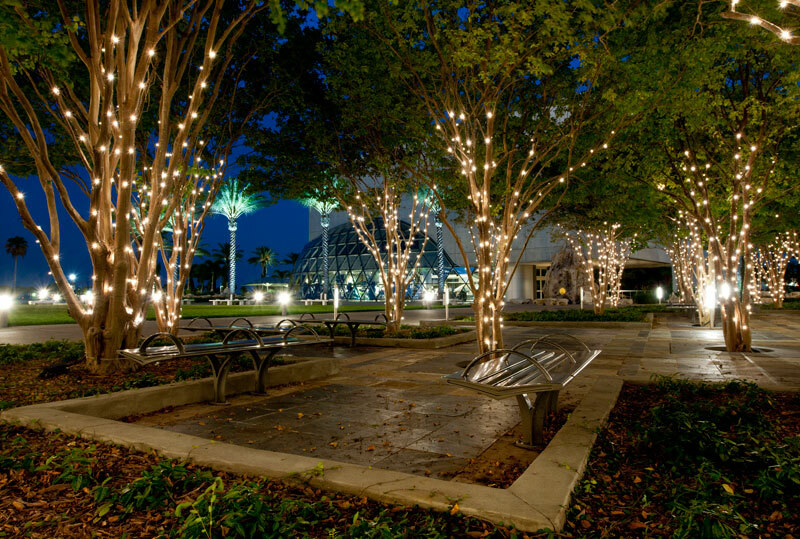 The space left over from the demolition of the former Bayfront Center Arena became an opportune area for the unique plaza designed to link the Mahaffey Theater and the Salvador Dali Museum while creating a venue for multiple program elements to occur. 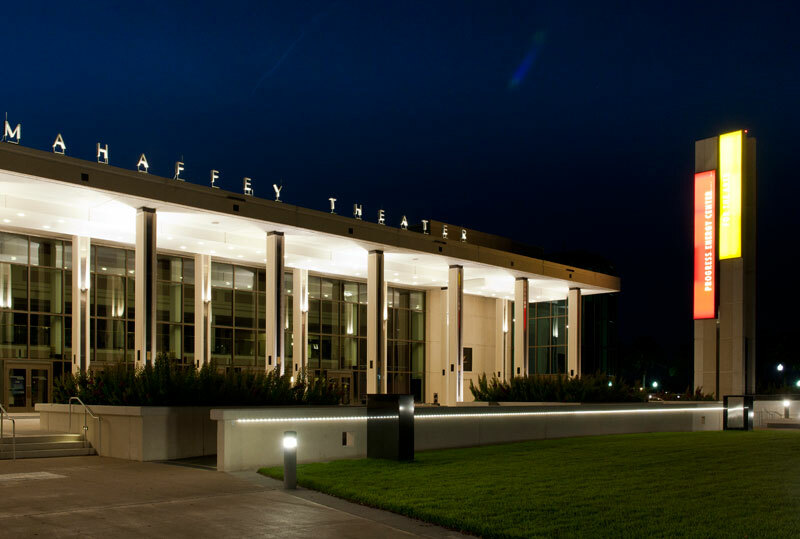 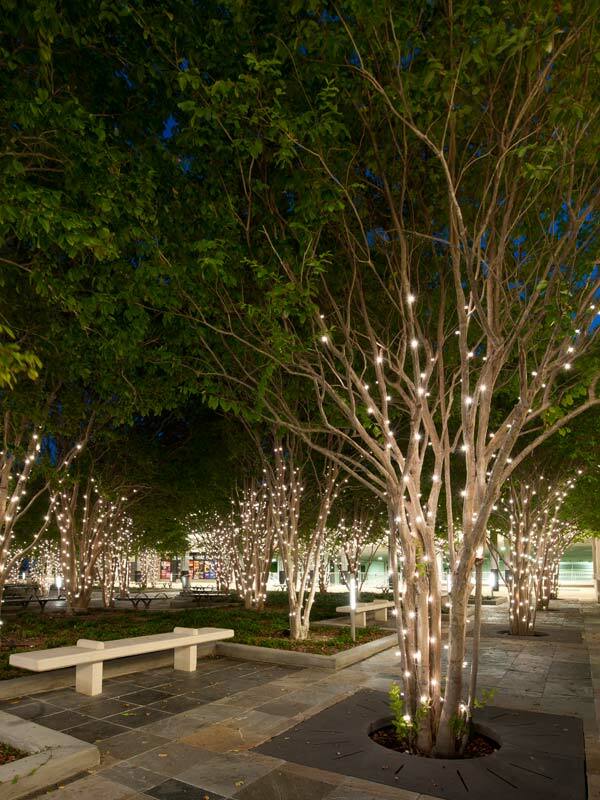 The Center for the Arts Plaza provides a shaded sitting area under a bosk of crape myrtle trees fitted with Tivoli lights to add theatrical character. 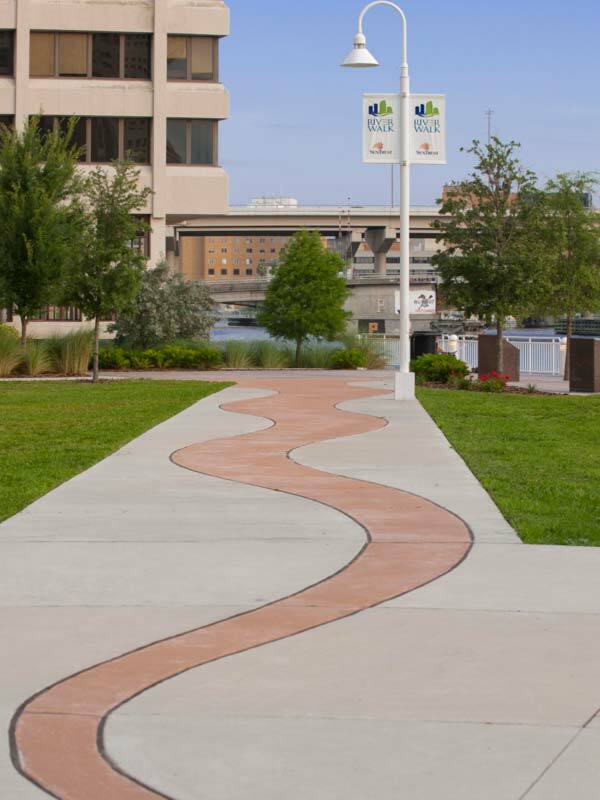 This southern section of the Tampa Riverwalk, across from the University of South Florida Park plaza, overlooks a wetland prominently populated with sabal palmettos. 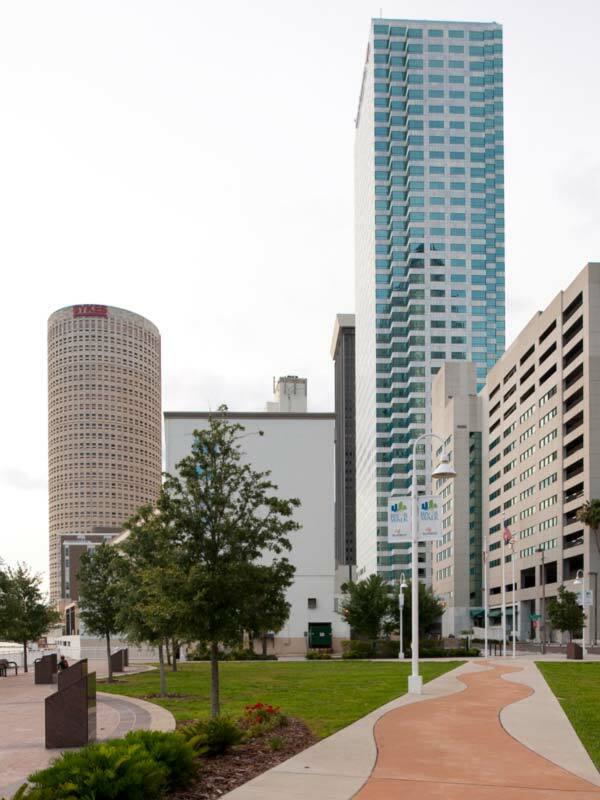 The Army Corps of Engineers was involved in the permitting of the wetlands along the banks of the Hillsborough River. 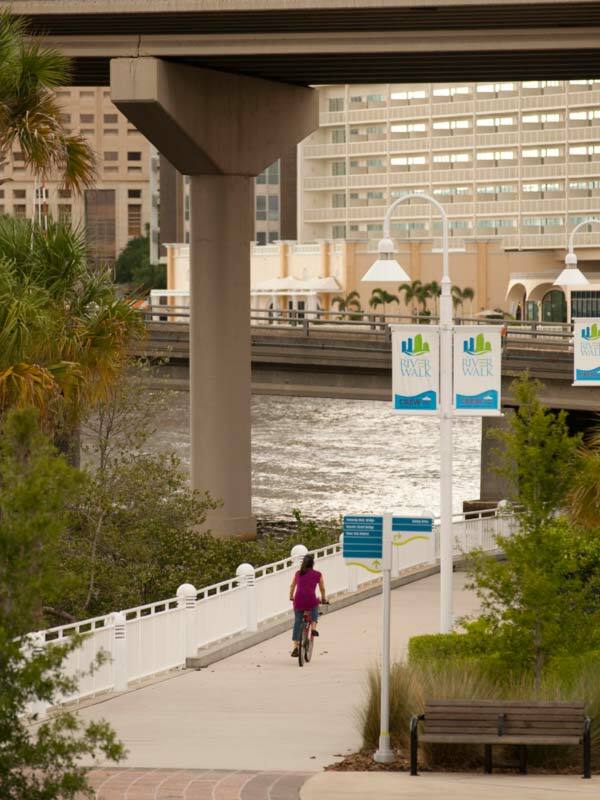 White vinyl-coated safety railings help keep people from venturing into the wetlands ecology. 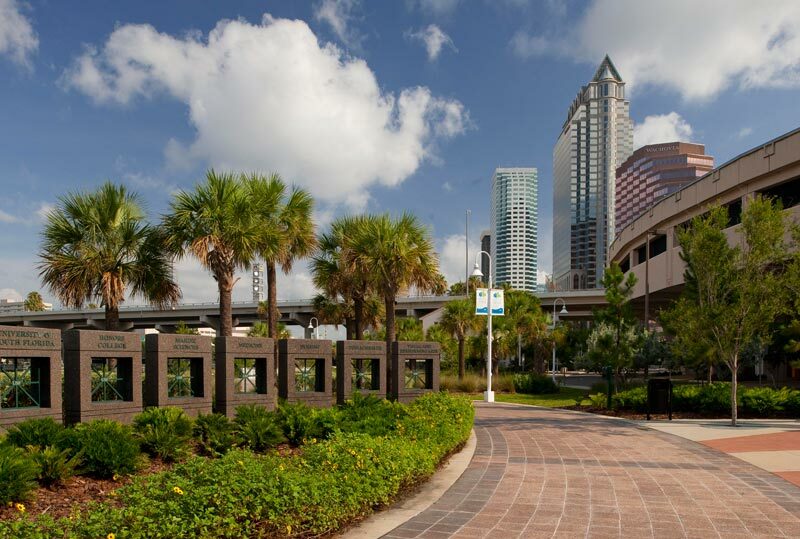 Thirteen granite monuments represent each of the degree programs of the University of South Florida. 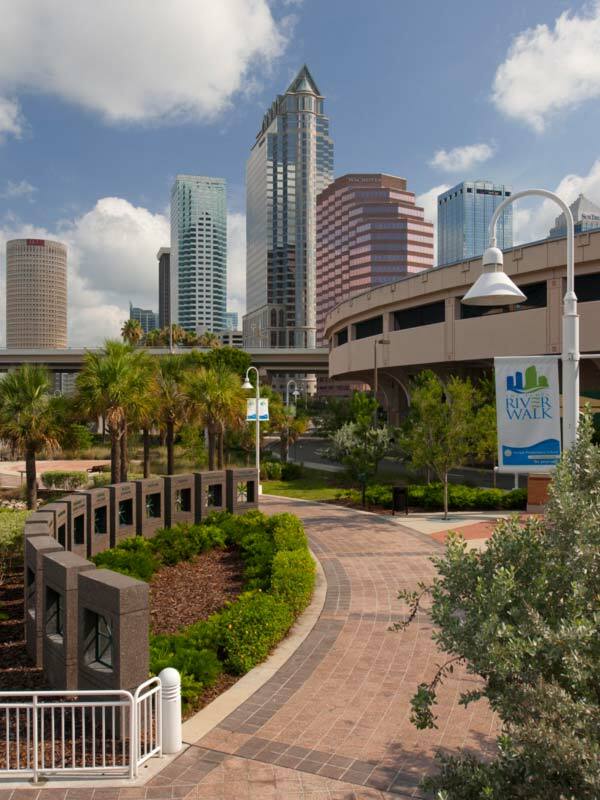 The design of the mullions in the monuments’ portals is tied to the architectural detailing of the Platt Street Bridge. 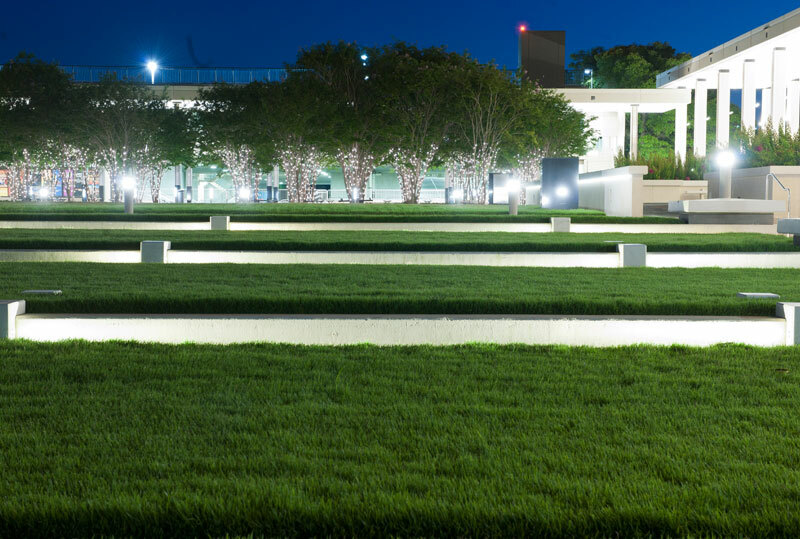 Beach sunflowers add color out front, and metal halide pole lighting illuminates the walk. 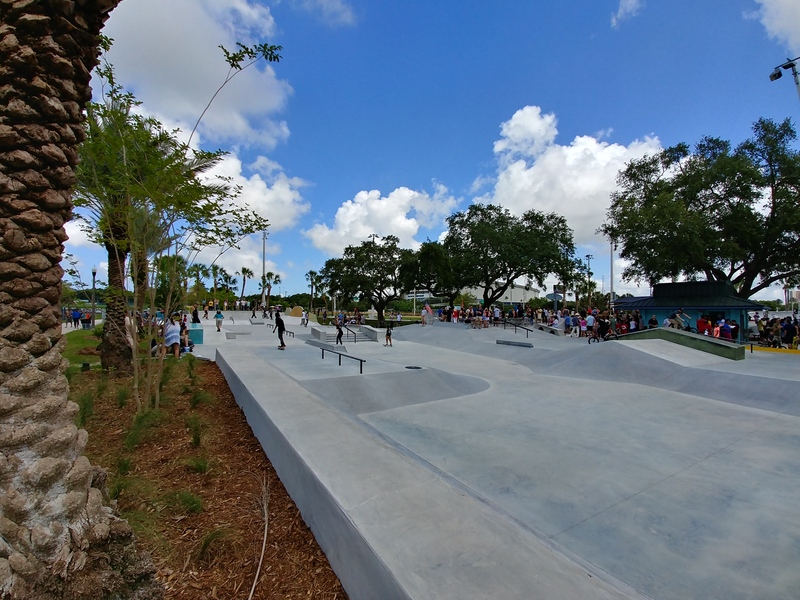 St. Petersburg Regional Skate Park opened in 2018. 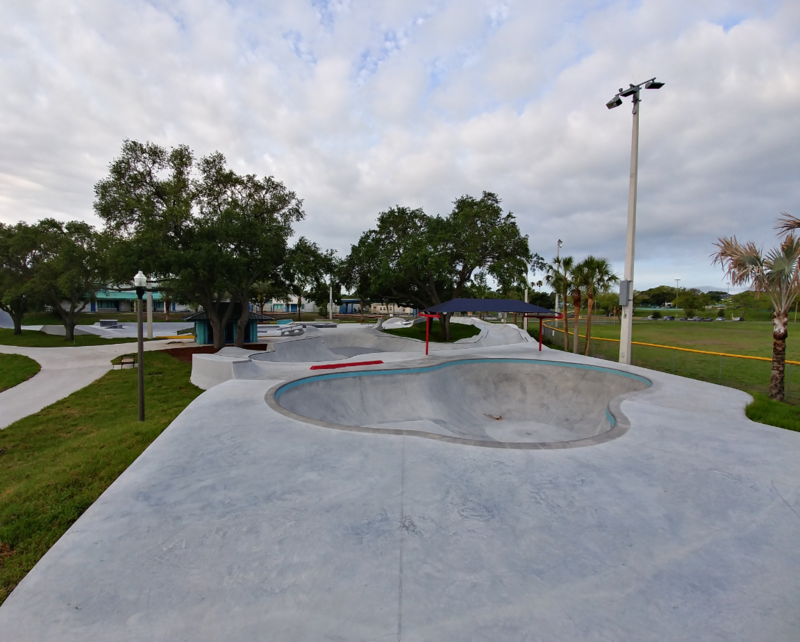 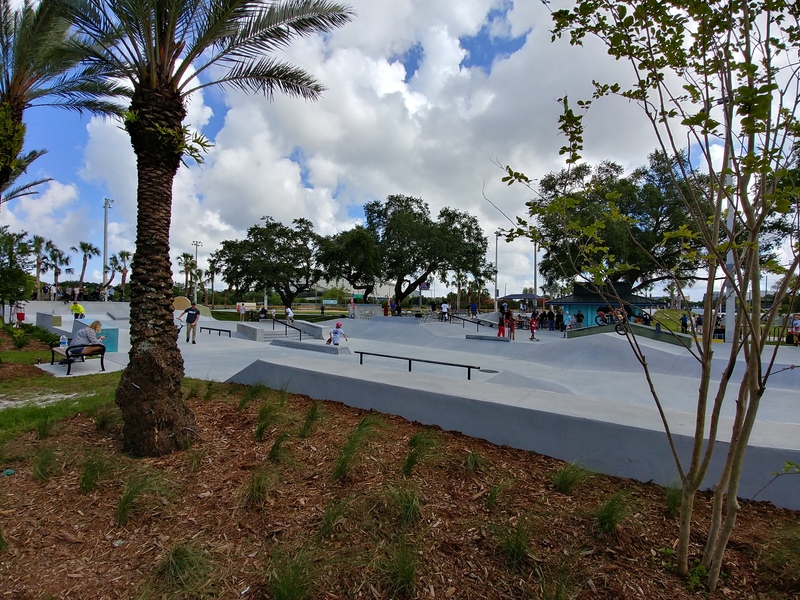 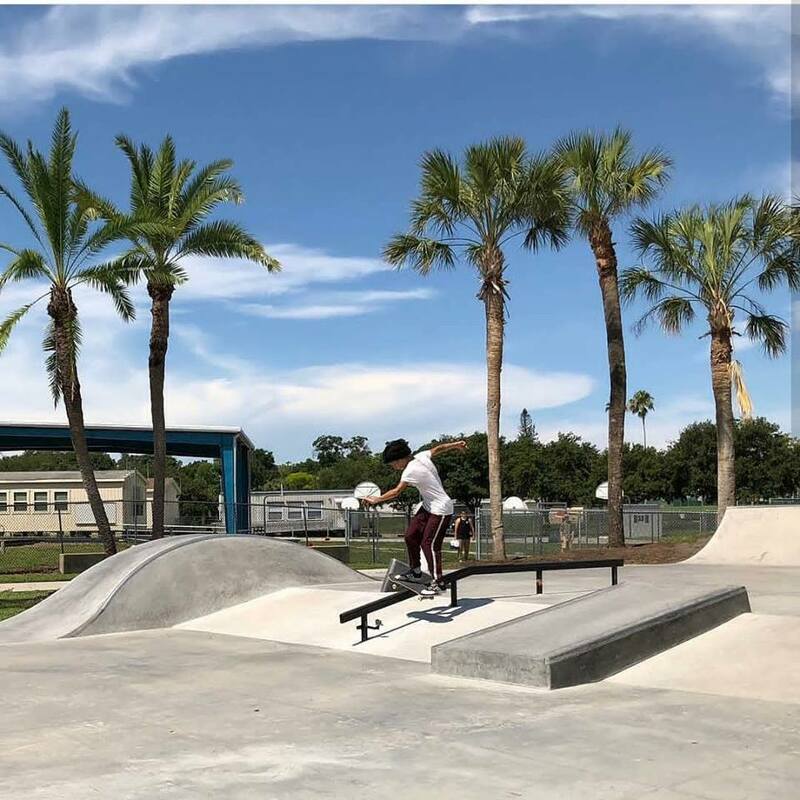 We worked with the City of St. Petersburg closely to develop the Design Criteria Package (DCP) for the project, one of the largest skate parks in the SE United States. 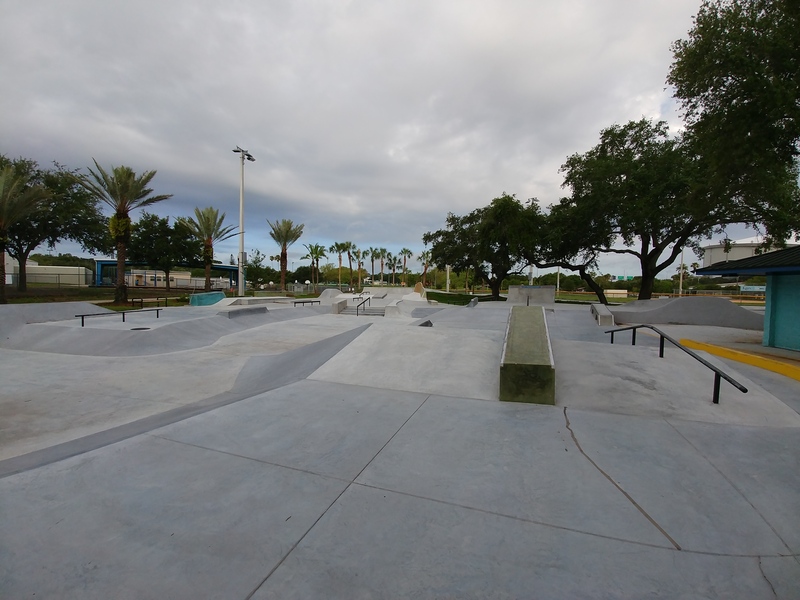 Booth Design Group worked with the selected contractor to fulfill the landscape architecture scope for the project, attended public workshops to present and answer questions to interested stakeholders, prepared graphics for the public workshops and we designed the final concept plan.